Play bingo at William Hill and get a FREE £40 bingo bonus when you deposit just £10. The William Hill Bingo site is absolutely fantastic and has an amazing community! Sign up to Mecca Bingo and get a FREE £30 welcome bonus when you spend just £10 on bingo. This is an exclusive Bingo News deal so hurry while it lasts! Spend £10 and play with £50 at William Hill! William Hill Bingo has been brilliantly designed, offering a huge range of bingo games at all hours of the day. Extensive monthly promotions certainly compensate for the lack of deposit bonuses. If you’re looking for up-to-date bingo news and bingo promotions from all the major bingo sites in the world then Bingo News is the site for you. We provide impartial reviews for all online bingo sites, broken down into categories such as best bingo sites, new bingo sites and UK bingo sites for your convenience. We also have a bingo monitor that lets you compare and contrast different bingo sites so you can easily decide where to play online bingo. Playing bingo online is such a popular past-time these days, but the days of the bingo hall are not numbered quite just yet. If you fancy a visit to a Gala Bingo hall or a Mecca Bingo hall near you then visit our bingo halls section for directions, session prices, and much more. Bingo is by definition a social game, which is why we also provide hot-off-the-press bingo news via both Twitter and Facebook. You can follow us on Twitter here and become a fan on Facebook here. We always have lots of different exclusives running on Bingo News, so make sure you bookmark the site and keep coming back. And by becoming a Bingo News member by signing up here you can earn cash prizes with our free-to-play social gaming. By becoming a Bingo News member, not only can you win real prizes, but you will also receive a weekly newsletter crammed full of exclusive bingo promotions and bingo bonuses to get stuck into. The newsletter comes out at 4pm every Friday, so be sure to watch out for it in your inbox. Alternatively, you can just sign up for our newsletter by entering your email address into the email capture box which can be found on the sidebar of every page on Bingo News. 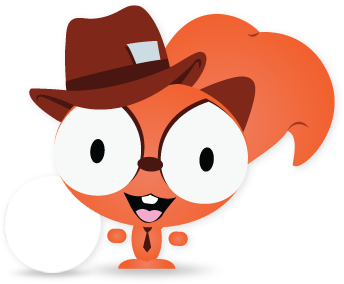 You can keep track of all new bingo offers on Twitter by following our ace bingo reporter Sammy the Squirrel. You can follow Sammy by clicking here. Not that we want to flatter his ego, but Sammy the Squirrel is quite an amusing fella with a unique backstory. You can read all about him here. If you would like to know more about Bingo News, please go to our About page. If you would like to get in touch with us then please head to our Contact page. We are always striving to improve Bingo News, so if you have any feedback regarding what new features you would like to see on the site then please let us know.